Our clock has timeless styling dating back to the early 1900’s. A tambour is an inverted bell design that is present in classical architecture which has transitioned over to wood working. 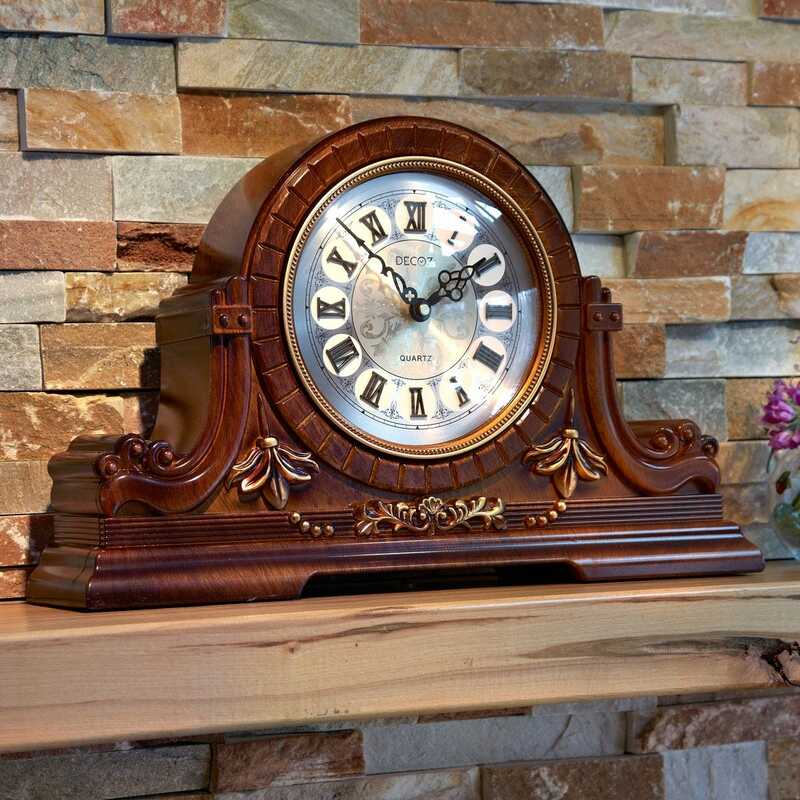 It makes for a classic Mantel Clock that never goes out of style. Rich warm honey highlights and well-placed gold hues bring out the elegance in our clock. The simulated wood grain dances with character and brings everything together for a stunning mantel piece. Our Mantel Clock is made out of polyresin, so dry or humid environments will not affect the finish unlike traditional wood grain. 7” diameter face includes classic roman numerals. Quartz movement operates on a single AA battery offered separately. Measures 18”L x 11 1/2”H x 3 1/2 W.